Chair Person: Adam Schultz is a criminal defence lawyer in Toronto. He has been a sole practitioner since his call to the bar in April of 2003. He is the proud father of two young boys and enjoys his career helping some of the most vulnerable members of our community. A significant portion of his practice is dedicated to assisting people facing criminal charges while suffering from mental illness. Vice-Chair Person: Antoinette Krakovsky is an Occupational Therapist, having graduated from The University of Toronto, Canada. Antoinette has practiced for 28 years, 18 years in the area of Plastics and Upper Extremity Orthopaedics. She has extensive experience with fabricating custom hand orthotics. Antoinette has lectured at several professional conferences, community functions and at the University of Toronto. Treasurer: Brian Sankarsingh is a Professional Chartered Accountant (CPA, CA) and a Partner at the accounting firm Swanson, Kane & Sankarsingh LLP; he holds a Master’s Degree in management and professional accounting (MMPA) from the University of Toronto. 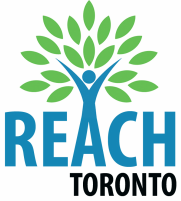 In addition to his work with Reach Toronto, Brian also sits on the Board of Directors of Evangel Hall Mission, an inner-city organization which aims to assist the homeless by providing them with the vital services they require during their time of need; he also volunteers at his local Church in the role of treasurer. Director: Maritza Feliciano Maritza worked at Family Service Toronto since 1990. She currently holds a position as a Program Assistant in the PAR program. The Partner Assault Response (PAR) program is a Domestic Violence Court initiative that delivers a specialized community-based group education/counselling program to offenders who have been mandated by the court to attend the PAR program in response to a criminal charge involving domestic violence. From 1980 to 1990, Maritza also worked as an Elementary School Principal and teacher. Director: Zuly Jacobs is a retired Medical Doctor in Paediatrics. Currently retired, however working as an Individual, Marital and Parenting Counsellor, Biodecoder and Cuantic Therapist. For 25 years Zuly worked at The Hincks Dellcrest Centre as the Coordinator of the Parenting Education Program. In addition, she worked at Counterpoint Counselling and Educational Co-operative running groups for Abusive men to end violence in intimate relationships. Zuly still holds contracts with the Catholic Children’s Aid Society in Parenting Education area, providing workshops and conferences on topics such as: Anger Management, Stress Management, Parenting, Life Skills, Family Violence, Biodecoding. Director: Connie Quintieri For over 18 years, Connie has been working as an Inventory Analyst at Litens Automotive, a Division of Magna International. She has established a distinguished career in the field of Manufacturing and Operations and Supply Chain Management. Connie has maintained progressive, cross-functional positions in each of these areas acquiring practical real world expertise. Her strengths are Lean Management, budgeting and cutting costs in all areas.